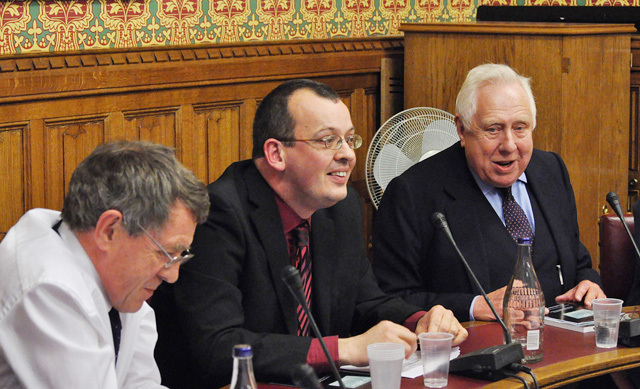 Last week, I had the good fortune to be asked to take some photographs of a presentation and discussion by Lord (Roy) Hattersley and political academic Kevin Hickson. 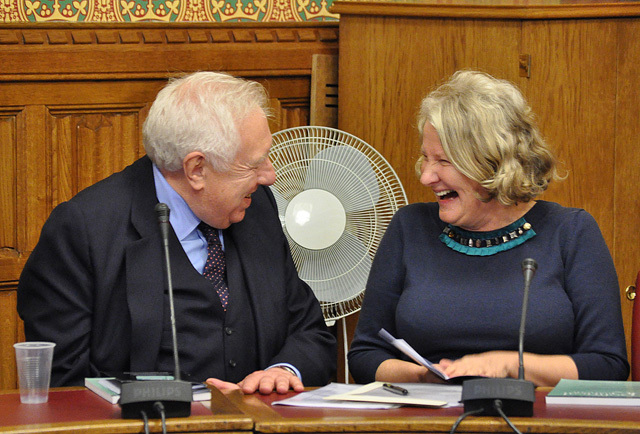 The meeting was in a committee room at The House of Lords and was organised by The Political Qarterly, publisher of their jointly-penned article, In praise of social democracy. Worth a read - it is about equality. 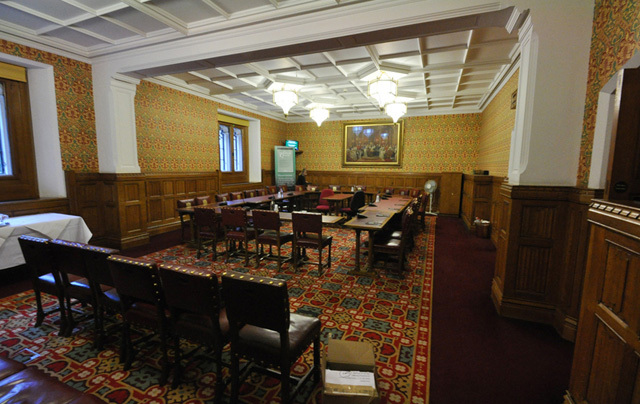 As you can see, Committee Room G is small and dimly lit. By the time 60-odd people were seated, there wasn't a huge amount of room to move about. I'd decided beforehand that flash would have been much too intrusive. Even the noise of the camera shutter seemed to bounce of the walls and fill the room. So much for being inconspicuous. Even with a monopod, I was trying to take pictures at ISO 3200, 1/15s, f5.6. Tip for next time? Set up some flash photos before or after the meeting! In the end, I grabbed a few key frames, gave up, sat down, and listened to Roy, Kevin, John Denham MP, Helen Goodman MP, the Guardian's David Walker, Neil Kinnock, Austin Mitchell MP, Lord (Neil) Kinnock. I have never heard so many politicians talk as much sense in such a short space of time. See what I mean about old labour? "Dear boy, did you ever meet a politician who didn't like having his picture taken?" Thank you Emma for inviting me along. Photoshop for helping me rescue a few pictures. The House of Lords procurement department for an excellent bottle of red.